— When American astronauts next launch from United States' soil to the International Space Station, they will fly onboard spacecraft built and operated by The Boeing Company and SpaceX (Space Exploration Technologies), NASA announced on Tuesday (Sept. 16). 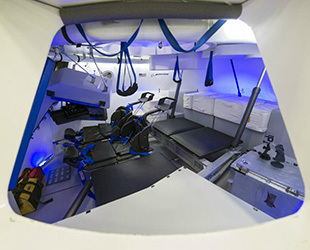 The space agency's selection of the Boeing CST-100 and SpaceX Dragon capsules to taxi crews to and from Earth orbit is aimed at resuming U.S.-based crewed spaceflights since the retirement of the space shuttle fleet in 2011 and ending the country's sole reliance on Russia for access to space by 2017. "Today, with the selection of Boeing and SpaceX to be the first American companies to launch our astronauts to the International Space Station, NASA has set the stage for what promises to be the most ambitious and exciting chapter in the history of human spaceflight," said Charles Bolden, NASA Administrator. "Turning over low-Earth orbit transportation to private industry will allow NASA to focus on an even more ambitious mission — sending humans to Mars." 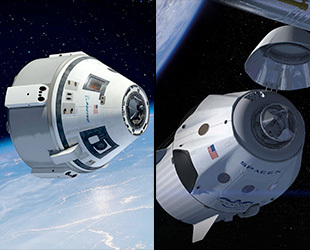 The Commercial Crew Transportation Capability (CCtCap) contracts awarded $4.2 billion to Boeing and $2.6 billion to SpaceX. The amounts were based on what each company proposed to NASA it needed to complete the same set of certification milestones leading up to and through a test flight to the International Space Station, as well as at least two, but possibly as many as six crewed taxi flights to the orbiting laboratory. "Our specialist teams have watched the development of these new spacecraft during earlier development phases, and are confident they will meet the demands of these important missions," Bolden said. "We also are confident they will be safe for NASA astronauts — to achieve NASA certification in 2017, they must meet the same rigorous safety standards we had for the space shuttle program." 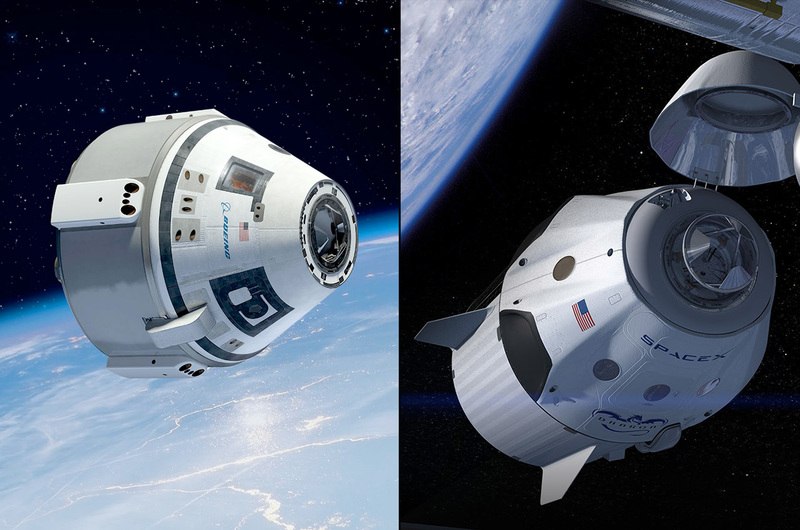 Boeing's CST-100 and SpaceX's Dragon are both reusable capsules designed to carry at least four crewmembers and limited cargo to the space station, as well as serve as an emergency lifeboat for the station by remaining docked to the outpost for up to 180 days. 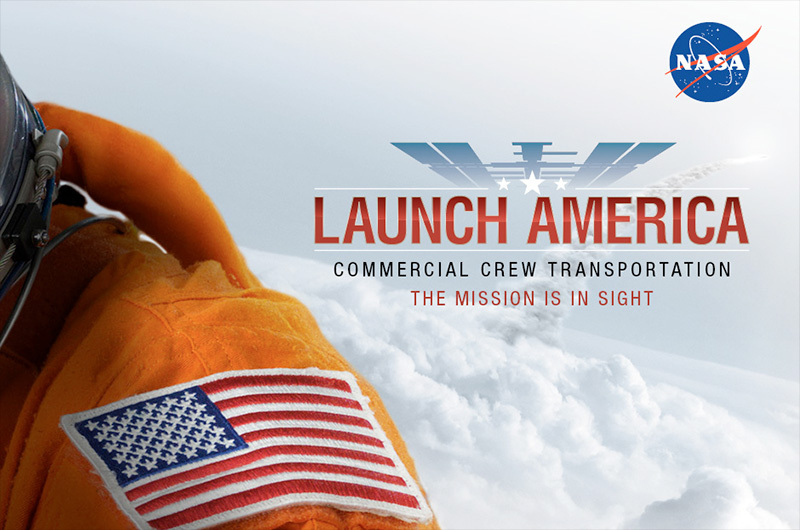 Boeing has developed the CST-100 to launch on a United Launch Alliance (ULA) Atlas V rocket and return to Earth for a parachute- and airbag-assisted touchdown on land. 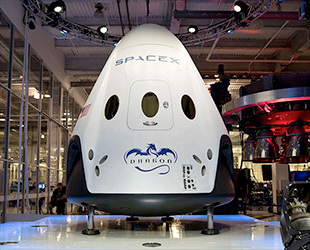 SpaceX's crewed Dragon, which is an upgraded version of the unmanned capsule the company uses to launch cargo to the space station under a separate NASA contract, flies atop SpaceX's own Falcon 9 booster and will return under parachutes or thruster-control for a land landing on legs. Both spacecraft will launch from Florida, with the CST-100 flying from Complex 41 at the Cape Canaveral Air Force Station and the Dragon lifting off from Pad 39A at NASA's Kennedy Space Center. Boeing has contracted NASA to use its Houston mission control. 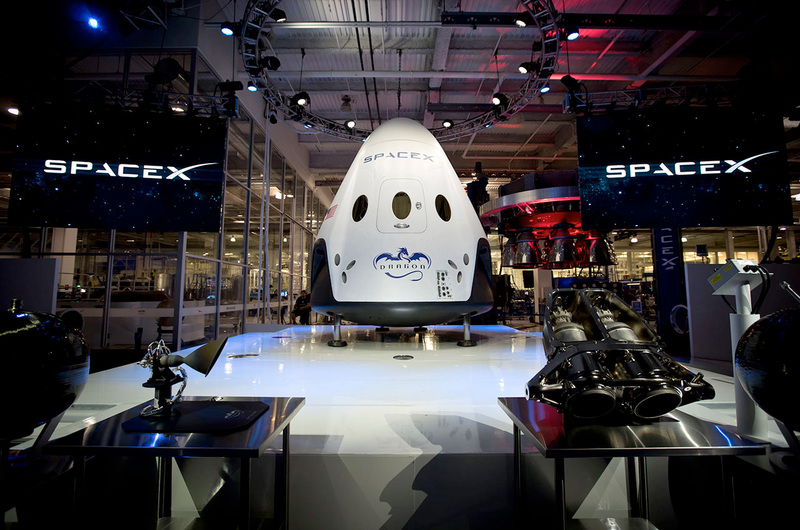 SpaceX operates its own mission control from its Hawthorne, Calif. headquarters. The Boeing and SpaceX taxi flights will enable NASA to increase the space station's current crew of six to seven, allowing more science research to be conducted onboard the microgravity laboratory. "We should see a key when we look at these spacecraft," NASA astronaut Mike Fincke said. "A key to the doorway of space that will be opened by more and more people. It's going to let us have more people working on the station, conducting more scientific research than we've been able to do so far." "I do not mean one or two more observations a week," he continued. "I mean the full-on studies we're counting on to fill in the gaps about long-duration spaceflight so we can survive the years-long trip to Mars and back." The CCtCap awards mark a departure from the way NASA has historically contracted for its spacecraft. Boeing and SpaceX will own and operate their own fleet and be able to sell human spaceflight services to other customers. "Boeing has been part of every American human space flight program and we are honored that NASA has chosen us to continue that legacy," said John Elbon, Boeing vice president and general manager of space exploration. 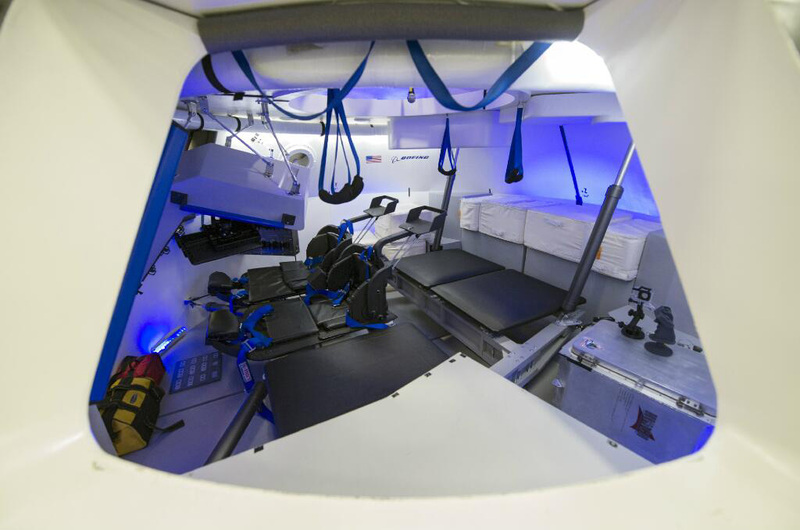 "The CST-100 offers NASA the most cost-effective, safe, and innovative solution to U.S.-based access to Earth orbit." "SpaceX is deeply honored by the trust NASA has placed in us," Elon Musk, SpaceX's chief executive officer, said. "We welcome [the] decision and the mission it advances with gratitude and seriousness of purpose. It is a vital step in a journey that will ultimately take us to the stars and make humanity a multi-planet species." 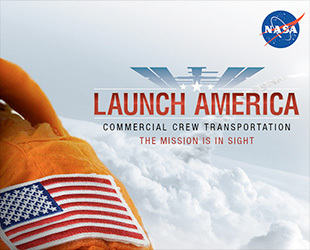 NASA established the Commercial Crew Program in 2010 and in the four years since has worked with eight different companies over the course of three development rounds. Going into Tuesday's selection of Boeing and SpaceX, the Sierra Nevada Corporation with its Dream Chaser winged spacecraft was also a contender for the CCtCap award.